Can't attend? Follow Miss Petal & Bloom to know of future events! Celebrate the festive season by making pretty paper Poinsettias that will never wilt! 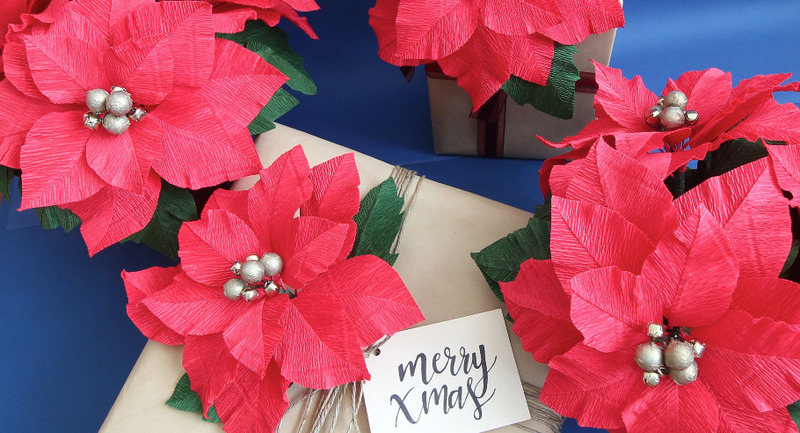 Using 180gsm Italian crepe paper, we’ll learn cutting and sculpting techniques to create a fun and festive poinsettia bloom. Plop them in a vase to make a cheerful Christmas centerpiece or add them to your gift-wrapping to make a truly unique present! 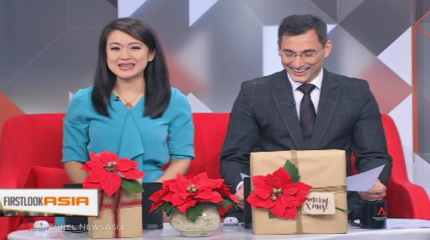 Fun fact: These blooms were featured on Channel News Asia during their Christmas feature! Each participant will be making THREE Poinsettia stalks in red. Each Poinsettia blooms measures about 20cm across. We'll be crafting in the brand new studio of Artisan Space Concept, located in King Albert Park. Eileen is a self-taught paper artist specialising in handmade crepe paper flowers. She launched her brand ‘Miss Petal & Bloom’ in 2015, and has crafted flowers for Channel News Asia, BAKE Inc., as well as DKNY perfumes. She has also taught for brands such as Kenzo, Spotlight, and Kate Spade New York. She is excited to teach and hopes to spread love, joy and inspiration through her paper blooms!